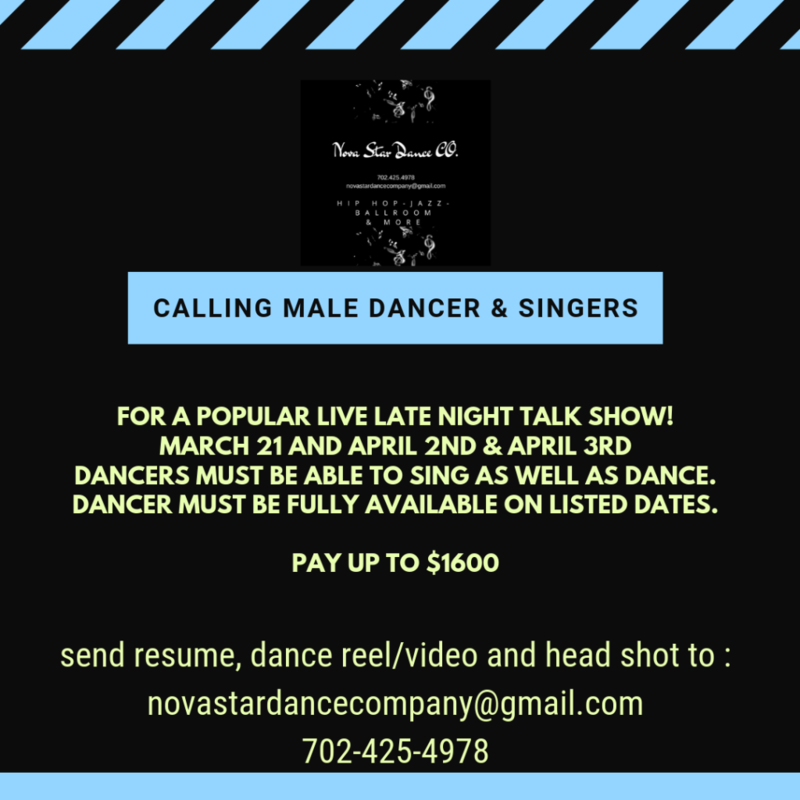 Dancers/Singers for Late Night Talk Show – Must be able to do both. Now casting Male Dancers and Singers ages 18-30 for live Talk Show taping in Las Vegas. Must be available for rehearsal dates 3-21, 4-2, and performance day 4-3. This casting notice was posted by: Nova Star Dance Company.